Raven Felix has been gaining regional hype since the release of her Valifornia mixtape this summer. 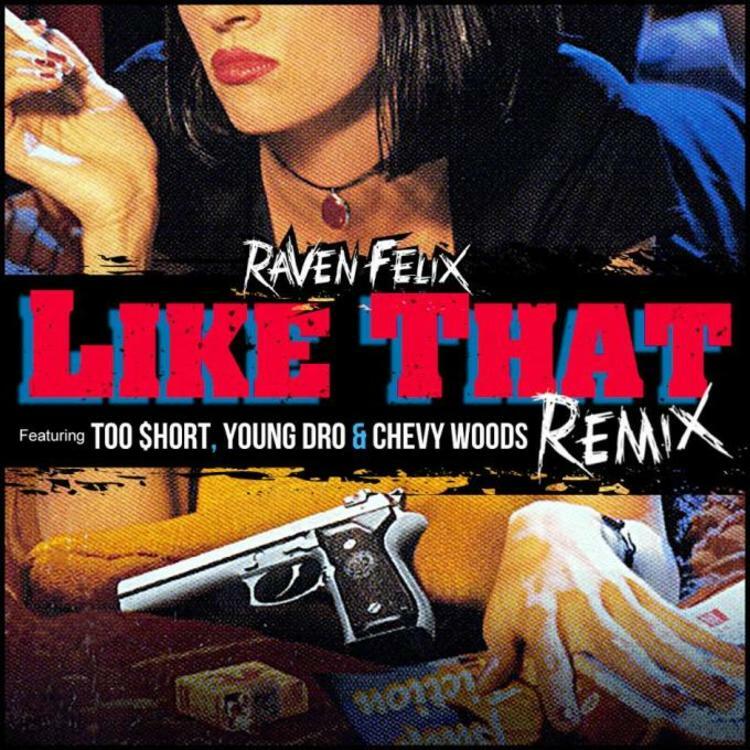 Her track "Like That" has been getting some traction, and has thus earned her an all-star remix which gathers rappers from areas nationwide. West Coast OG Too Short lends a verse, as does Atlanta's Young Dro, and Pittsburgh's Chevy Woods. The result is a varied track which could invade a few other markets over the next little while. Who's got the best verse? If you've yet to grab Raven's latest project, make sure to do that here. Is she about to blow up?